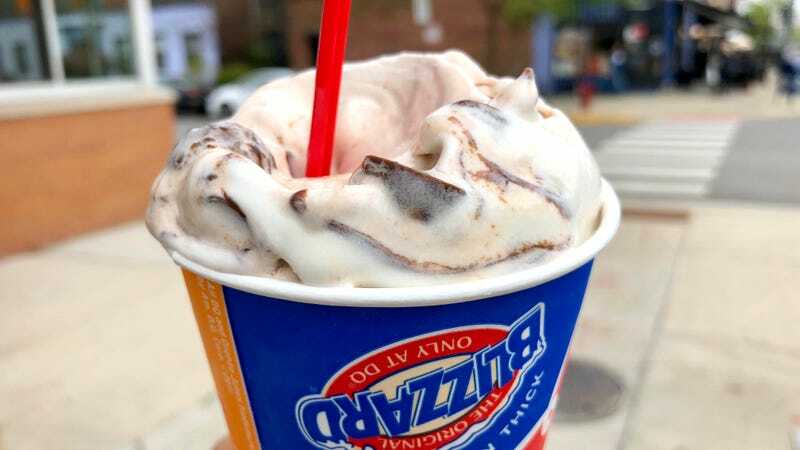 Dairy Queen’s latest Blizzard concoction, a marketing tie-in to the latest Jurassic World franchise, is essentially a bag of peanut butter chocolate candy you chase down with vanilla soft serve. It is impossible to scoop a spoonful without a couple or three chunks embedded in the frozen swirl. The candy is button-sized chocolate rounds filled with a peanut butter goo. It tastes exactly as you’d expect peanut butter + chocolate + ice cream to taste together. 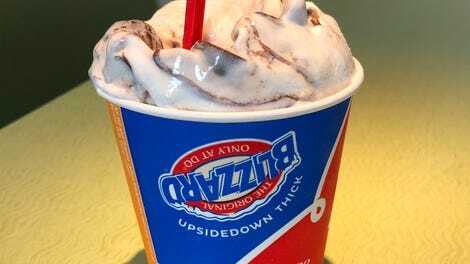 The small version of this Blizzard contains about 20 percent more calories than a McDonald’s Big Mac. Whatever. This Blizzard is rad. To elaborate further with flowery language under the guise of nuanced criticism would be an insult to your intelligence and time.